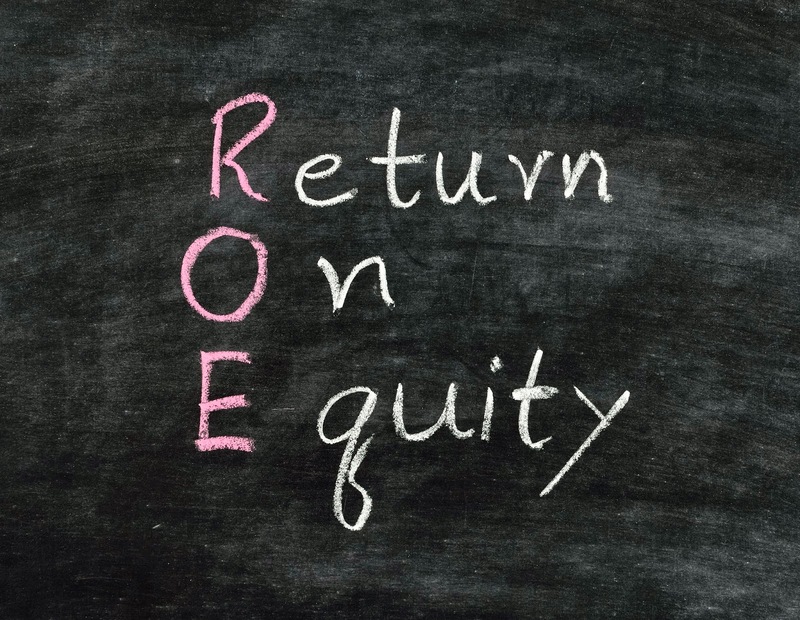 If you are Value Investors that focus on Fundamental Analysis, I am sure ROE (Return On Equity) is a familiar indicator to you. For those who are not, basically ROE is a ratio (reflect in %) measuring a counter/index's financial performance. In layman term, this ratio tells us how much returns we can get for every dollar we invested in the counter. Note : The three and four digits ROE in Starhub Ltd is due to the adoption of merger accounting in July 2012 when the shares of Singapore Cable Vision (SCV) were acquired and consolidated into the Starhub Group. Last but not least, ROE is just one of the many important ratios that we need to look at, do pay equal attention to others ratios like P/E (Price/Earning), Debt-To-Equity and Return On Asset (ROA) etc.. I think it's important to break up the component of ROE. If not, different gearing can distort the ROE greatly. You can look at Dupont's fomula to see the breakup. One of the components is leverage (assets/equity). Hi LP, thanks for the additional input and will sure to check out your post! Cheers! dun understand the staurhub note... anyone kind enough to explain the context? 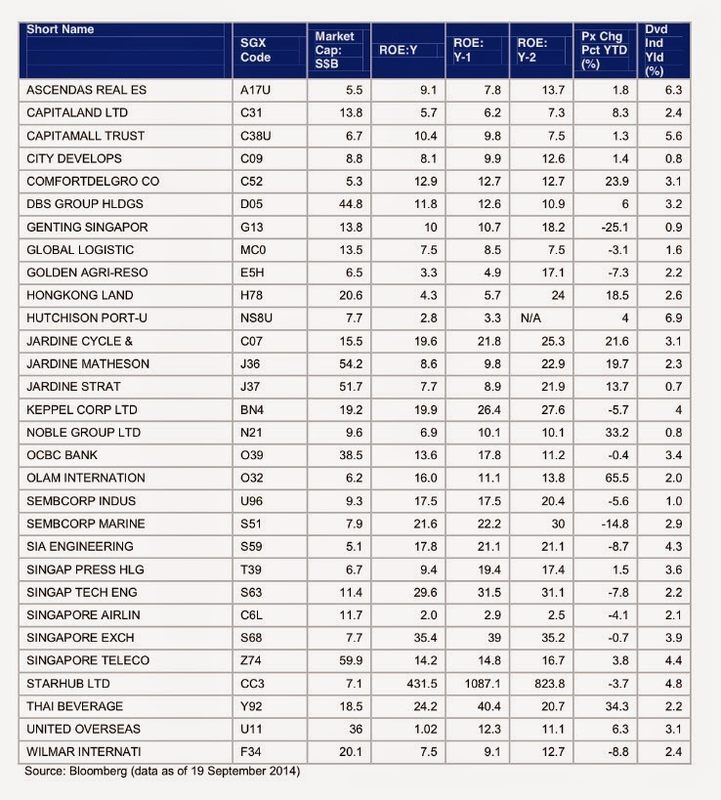 Note as shown in the table above, StarHub has maintained a relatively high ROE over the past three years. This is because the StarHub Group’s total common equity in the June 2014 quarter and the June 2013 quarter was relatively small at S$94.5 million and S$82.7 million. The StarHub Group shareholders’ equity is lower than that at StarHub’s Company level due to the adoption of merger accounting in July 2002 when the shares of Singapore Cable Vision (SCV) were acquired and consolidated into the StarHub Group. Another words if you look at ROE, makes sure you look at debt to equity also. They are like "Siamese Twins". Anyway, financial authors always warn you any financial ratio by itself has got no real meaning. ie. never invest basing on one financial ratio only. You may hit the jackpot or you may dig a "hole-in". Investing look simple but it is never easy to practise is always the Truth. 1st & 2nd principles ,EQ:IQ and can you sit still do nothing? Really sound simple isn't it? But can you do it? May be you should read more about what WB says and why he says. Maybe?